CAMBRIDGE – The Travelin’ Man – Art Exhibition by Jacob Houston opened Friday at the Green Bridge Gallery in Cambridge, NY. The show features a mixture of original works and prints of landscapes, near and far. You’ll see familiar local scenes like Main Street Greenwich and Stump Church as well as distant works featuring the Swiss mountains, cityscapes and more. Jacob is a talented young man who creates vivid works of art with a unique perspective and unfathomable detail. One of the most talked about images at the show was his rendition of Los Angeles, which took him roughly three months to paint. The detail is amazing. We encourage everyone to come enjoy Jake’s show. It’s a must see and will be on display until November 8th. The Gallery is located at 13 West Main Street in Greenwich. The entrance is on the side of the building. We are open Monday, Tuesday, Thursday and Friday 9am-4pm and Sunday 12-2pm. Saturday hours will be added in November and December to accommodate shoppers for the holiday season. In addition to the art you’ll fine hand-made jewelry by a number of regional crafters. We have delicate silver stamped jewelry as well as bold beaded word. You’ll also find pottery made by Saratoga Springs potter Darren Prodgner. In addition, we have other great items including FlashBags, matted photography prints, mittens, note cards and Christmas cards. CAMBRIDGE – Green Bridge Gallery, located in the heart of the Village of Cambridge, will open on June 14, 2013 with its inaugural show: “Landscapes of Washington County by Matt Chinian”. An opening reception on the 14th from 6-8 p.m. will launch the show. Guests will enjoy the art, music by Athena Burke and light refreshments. This is the first show at The Green Bridge Gallery, which is located in the historical Italianate building in the forefront of VARAK Park. Once a newspaper print shop, the building’s high ceilings and industrial design set the stage for a unique space in which visitors will enjoy viewing the exhibited art. Landscapes of Washington County by Matt Chinian will run from June 14 – July 15, 2013. The gallery will be open Monday, Tuesday, Thursday and Friday from 9 a.m. – 4 p.m. and Saturday from 9 a.m. – 2 p.m. In addition to the exhibit will be a variety of other items for sale, including jewelry, matted prints, cards and other art and fine craft items. Gallery owner, Meaghan Wilkins, is still booking artists for the 2013 season and looking for fine jewelry, textiles, pottery, furniture makers and other artisans to place more permanent displays for sale in the gallery. If you would like to be considered please email a bio/resume and four digital images of your work to greenbridgegallery@gmail.com. The gallery is located at 13 West Main Street in the Village of Cambridge, New York. For information about upcoming shows please visitwww.greenbridgegallery.wordpress.com. Amidst the already vibrant arts community of Cambridge, New York comes something new. 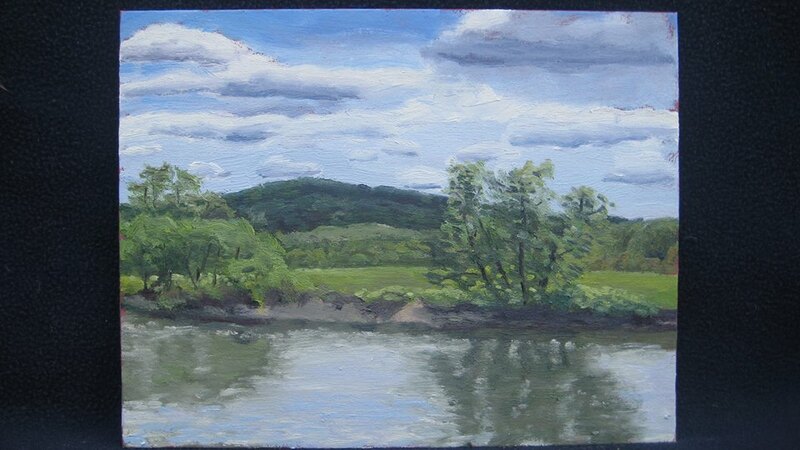 The Green Bridge Gallery, located in the heart of the Village of Cambridge, will open on June 14, 2013 with its inaugural show: “Landscapes of Washington County by Matt Chinian”. An opening reception on the 14th from 6-8 p.m. will launch the show, featuring music by Athena Burke and light refreshments. The gallery, which will be in the historical Italianate building in the forefront of VARAK Park will feature regional artist’s work, including paintings, drawings, photography, jewelry, furniture, sculpture and pottery. Once a newspaper print shop, the building’s high ceilings and industrial design set the stage for a unique space in which visitors will enjoy viewing the chosen art. Owner, Meaghan Wilkins, has a deep appreciation for the arts and has always dreamed of operating a gallery. Meaghan is an artist herself, working mainly in photography however in college and still today she enjoys working in the fine art mediums. Her desire to is to present a wide variety of artist and fine art crafters from the region. 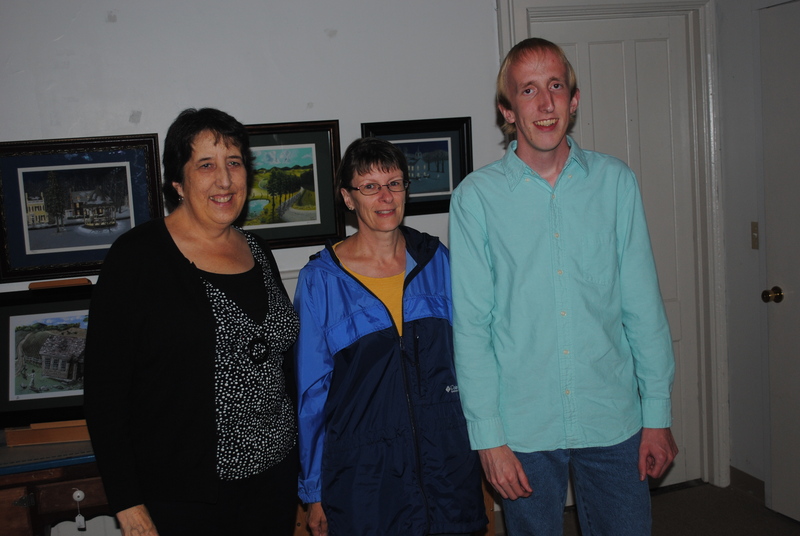 She also hopes to host a student juried exhibition. Meaghan is still booking artists for the 2013 season and looking for fine jewelry, textiles, pottery, furniture makers and other artisans to place more permanent displays for sale in the gallery. If you would like to be considered please email a bio/resume and four digital images of your work to greenbridgegallery@gmail.com. The Green Bridge Gallery will be open Monday, Tuesday, Thursday and Friday from 9 a.m. – 4 p.m. and Saturday from 9 a.m. – 2 p.m. Beginning June 14th. Extended hours may be offered for opening receptions and other special events. More about Meaghan Wilkins: Meaghan was born and raised in Cambridge, New York. Here she attended Cambridge Central School. In high school she was very involved in the arts program and also took private painting lessons from a local artist. Meaghan went on to study art at SUNY Plattsburgh and graduated in 2002 with a B.A. in Studio Art. After that she worked as a graphic designer and photographer for a number of organizations and as a freelance artist. 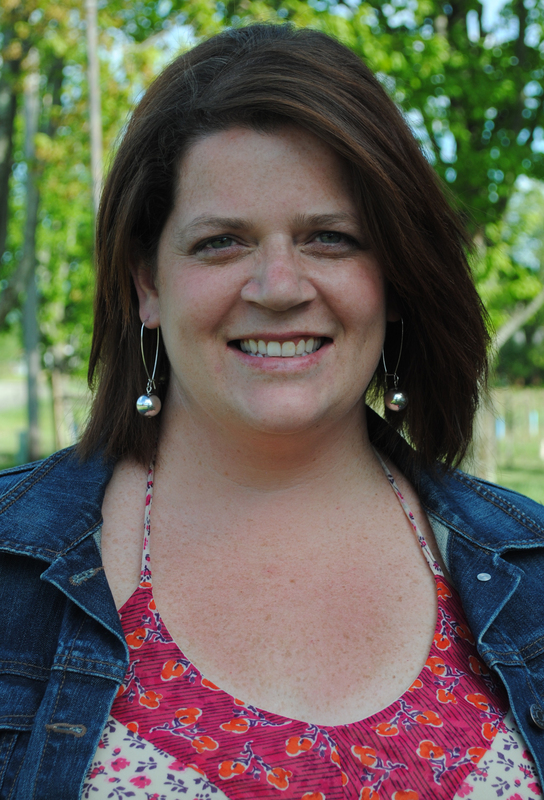 In addition, Meaghan has been an employee of the Village of Cambridge Youth Department since the late 90’s and has been the Recreation Director since 2005. In 2010 Meaghan chose to continue in her education, and began at Kaplan University. She graduated with a Master’s Degree in Psychology and is now working on a second Master’s from the University of Illinois in Recreation, Sports and Tourism. Meaghan has a strong sense of community and a desire to continually do her part in improving the quality of life in the area. Through her volunteer work as the President of the Cambridge Valley Chamber of Commerce, the Secretary of the Cambridge District United Fund and the President Elect of the Capital Region Park and Recreation Association she has been dedicated to the promotion and administration of recreational and tourist events in the region. Meaghan lives in Cambridge, New York with her husband Eric and three children.